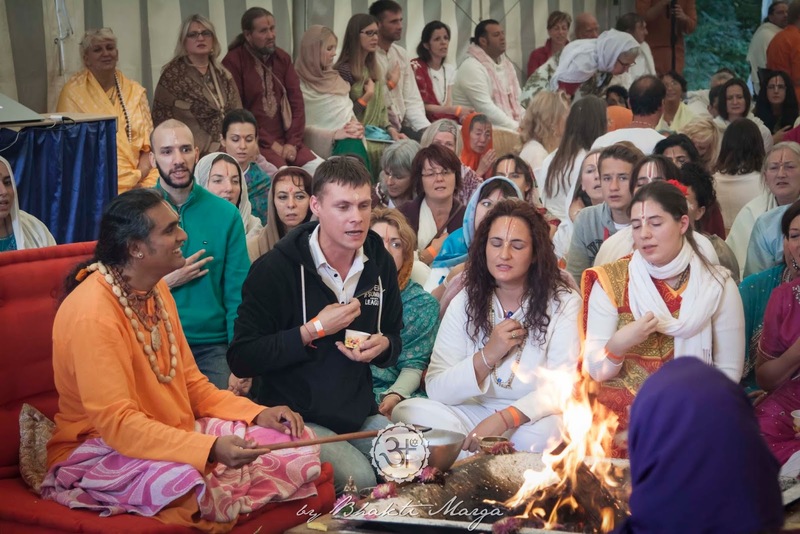 This last weekend, at Shree Peetha Nilaya, Sri Swami Vishwananda has graced more than six hundred people with two Darshans in two consecutive days. 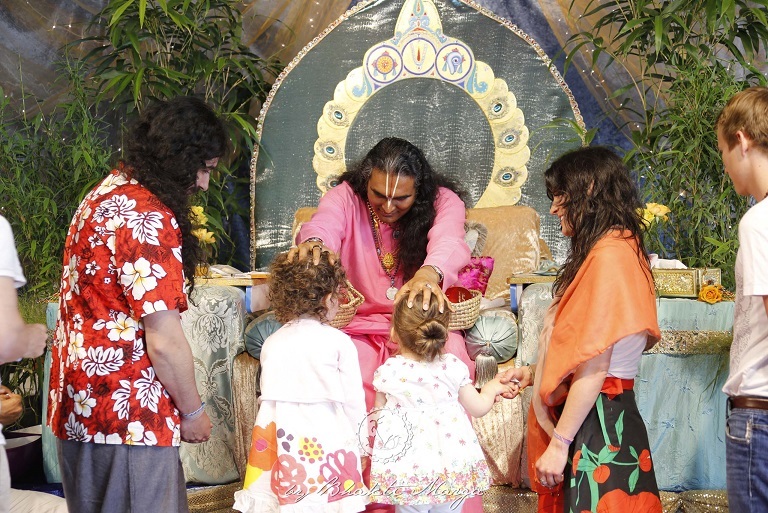 Throughout the years Sri Swami Vishwananda has been reminding us that the Satgurus don't need anything from anybody. They have everything; they have realised God. The only thing that they want is that all of us realise God. 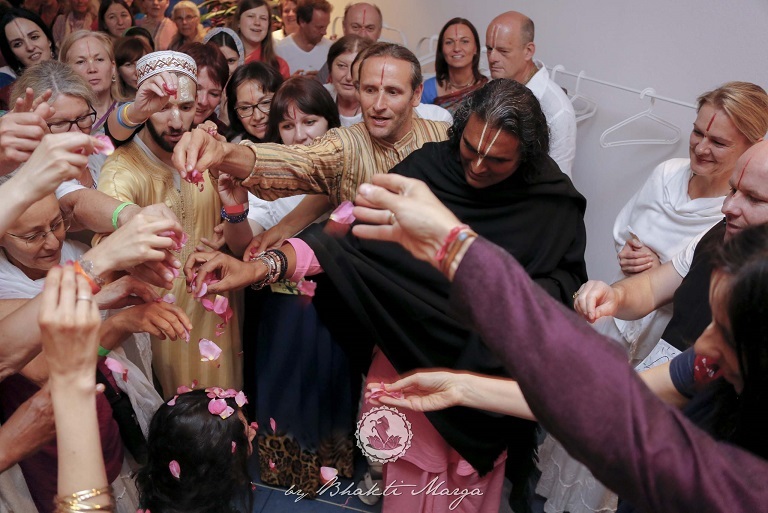 They humble themselves to be our servants, to serve us and lift us up, so that we can hold the hand of God and realise Him. Lead me from untruth to truth, from darkness to light, from death to immortality. “Jai Gurudev! 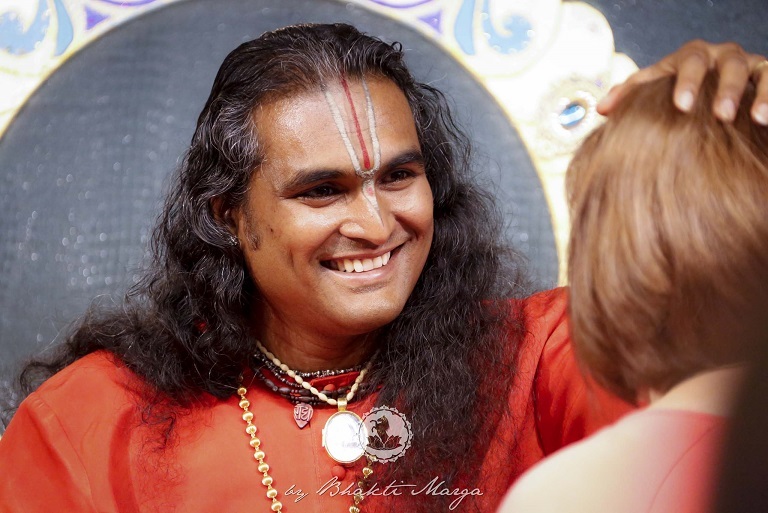 My name is Parthenia and today I want to share with you how I met Sri Swami Vishwananda. 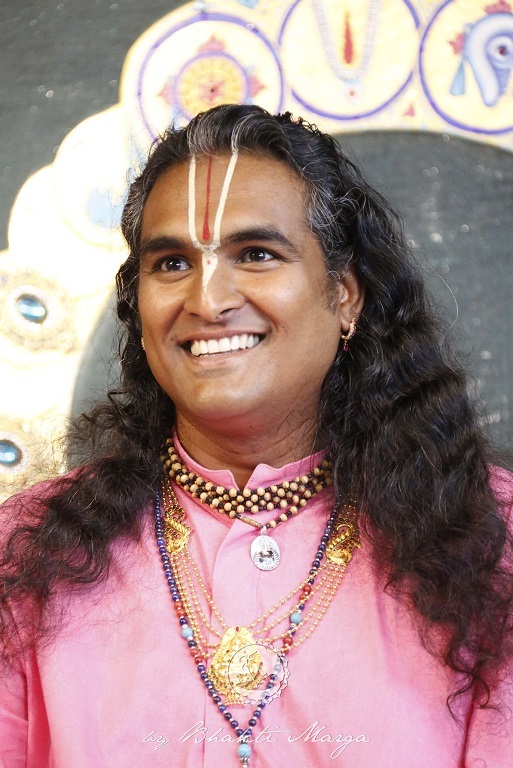 I have known about spirituality since I was twelve years old. My mum was on a spiritual path and, of course, she would talk to me about these things, but I was not interested. At the age of sixteen, I started to become a bit wild. My poor parents! I was listening to lots of metal music, the louder the better. (audience laughs) Once I came home with dreadlocks and a piercing and my mum went totally crazy. Two years later I started to engage myself in constant partying, drinking a lot of alcohol with my friends, and sometimes even using funny drugs. I couldn't stay in a job for a long time; I was changing all the time, because obviously I was not a very responsible person. 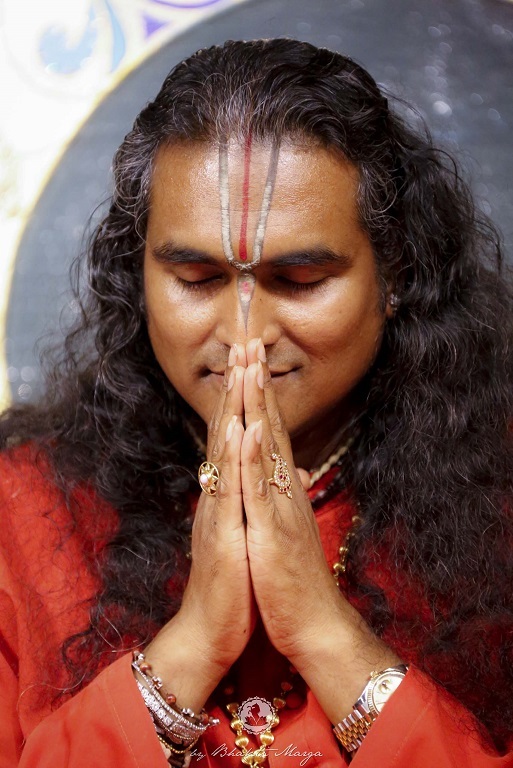 So, Gurudev saved me from all that. What a change he brought into my life! If my friends from that time knew about this, they wouldn't believe it. At that time, I was like in a sleep state. I was not really alive and I didn't really know what to do with my life, I just... yeah, I was like a zombie basically. Then, a couple of years later, my mum, Shridevi, had just come from a trip to Poland and told me how nice it was. She had met a new Master, Sri Swami Vishwananda and received his Darshan. At that time I somehow knew that something was a bit different, because I started to get interested. She also gave me a spiritual book (Autobiography of a Yogi by Paramhansa Yogananda). For the first time in years, I enjoyed myself reading the whole book, from the beginning till the end. 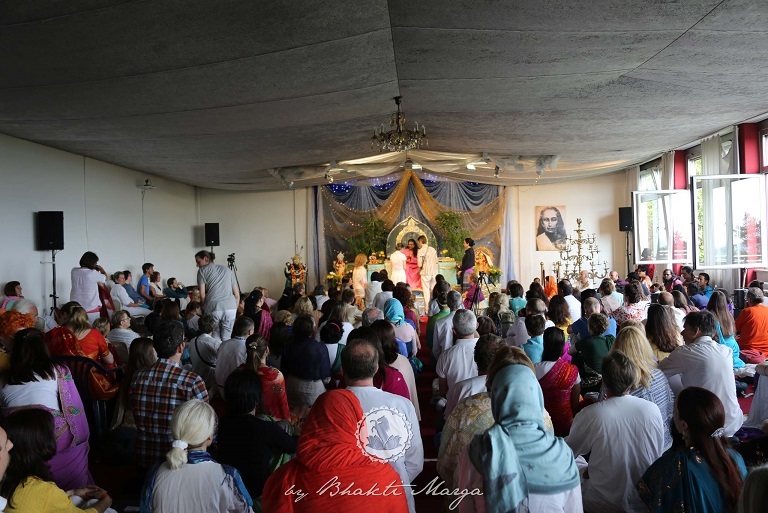 It made me think, ‘Wow, spirituality is something real, God is real!’ At that time, Gurudev had an ashram in Steffenshof (Germany) and once my mum asked me if I would like to go there, along with her, for the weekend. I replied, ‘Okay, I come.’ Of course, my mum had a shocked face, because she didn't expect that answer from me. I was there for a yagna. I didn't know what was going on, but I actually enjoyed it and even felt, ‘Wow, this place is special.’ My heart was already telling me, ‘This is what you want in life. This is what you have been looking for.’ Soon after, I applied for an Atma Kriya Yoga course, even if I didn't really know what Atma Kriya Yoga was. At that time, I was still living a kind of double life. I was still going out with my friends and being the crazy person, but on the other hand I was already on a spiritual path. 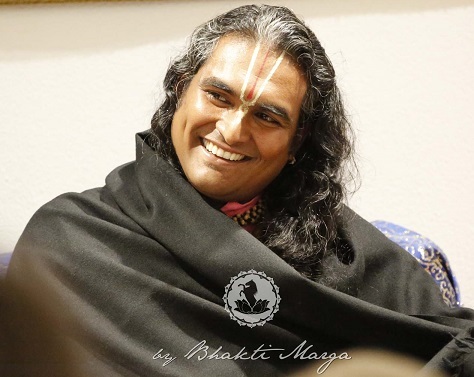 And I have to say that, when I started to have the interest in spirituality, all the changes came very suddenly in my life; it was nothing which I decided in a conscious way. Everything was just happening to me, and it was like watching a movie; I was just standing and looking how everything around me started to change. Obviously, I started to lose some friends, because I wouldn't go out with them anymore. I stopped using drugs, drinking alcohol, eating meat and my relationships changed completely. Actually, for a long time I haven't thought nor talked about my past, but lately somehow I started to look back at how it was my life seven years ago and where I am now. I really felt like I was dead at that time. 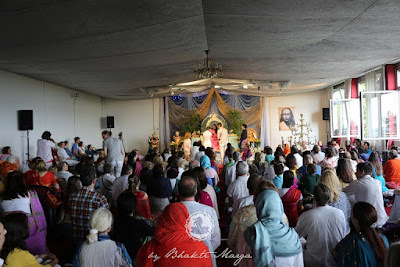 I was not living, and Gurudev gave me life. 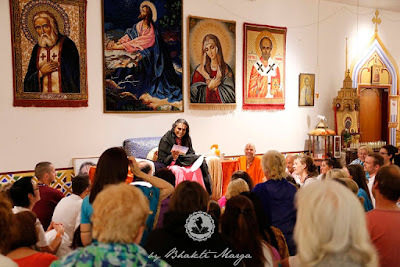 I really started to live the real meaning of life - why we are here for. I could taste a drop of love which I had never experienced before. I still don't know what it means to love somebody unconditionally, but I know what it feels to be loved unconditionally by him; because whatever I do or not do, he will always be there for me, holding my hand. 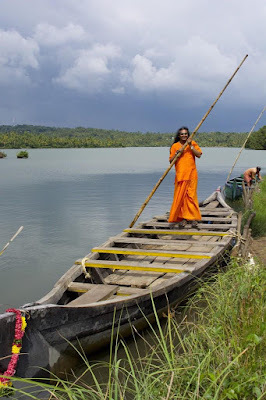 Therefore, when you meet your Guru just throw away all this luggage that you are carrying with you, run to him, go with him on the boat. He is our boatman. He will bring you to your goal. He will show you a complete new world which you cannot even imagine; he will lead you not only outwardly, but on the inside journey.